We have issued warnings countless times, that Biafrans residing in northern Nigeria should return to Biafra land, but it seemed our warnings have been falling on deaf ears. Following the stubbornness and gruesomeness of the dictator - Muhammadu Buhari and his Northern Islamic cabals, to keep the prisoner of conscience - Kanu incarcerated, and the plots by the evil British and its collaborating governments, to annihilate Biafrans from the surface of the earth, it has become clear that the issue will no longer be taken lightly. The life of Biafrans are in more danger like never before, especially Biafrans in northern Nigeria. 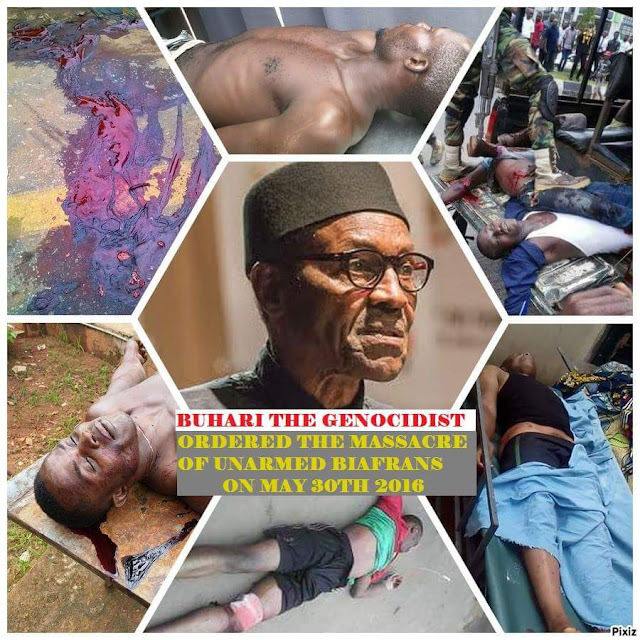 The barbaric and murderous Hausa/Fulani savages has finalized plans to massacre Biafrans and to ensure that no Biafran leaves the north alive. We are hereby issuing a warning for the last time; all Biafrans should return home, you are safer in Biafra land, forget about what happens to your properties and investments because your lives are of far more importance than material wealth. Read also:GREAT BIAFRANS YOUR TIME OF PASSOVER HAS COME. Make haste while the sun shines, leave the north now because your life is in grave danger and the Indigenous People of Biafra cannot guarantee your safety in the north. We are the most endangered species and a people mapped out for total extermination by the barbaric, blood-sucking Hausa/Fulani savages whose desire is to take over our land and be in total control of our resources given to us by the Almighty. But we cannot watch that happen in our time, we must defend our land by the powers of the supreme creator (Chukwu Okike Abhiama) and with everything within our arsenal. Our brothers - the Niger Delta Avengers, has made a number of demands and issued some warnings, the warnings issued by these great Biafrans should not be taken as empty threats by any wise human, it should be noted that real Biafrans do not issue empty threats. You are safer in Biafra land regardless of the fact that Biafra land is under siege. We are urging all Biafrans to prepare and get ready for the tough days ahead, for it is said “when the going gets tough, only the tough gets going” A word is enough for the wise. Remember it is either Biafra of death.